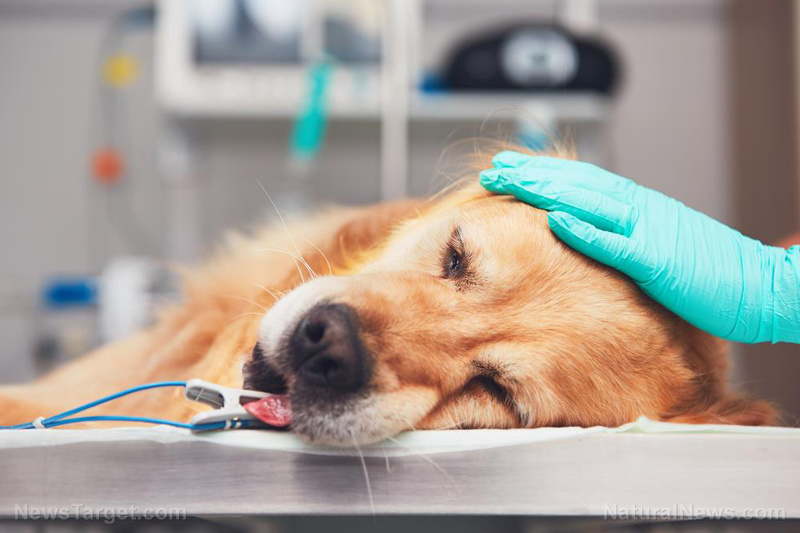 (Natural News) A dog’s kidneys play a major role in filtering out waste products, regulating blood pressure, and stimulating the production of red blood cells. If your dog suffers from kidney failure, it could severely impair their overall health and well-being. Fortunately, there are natural cures that can help treat kidney failure in dogs. Change in diet. A major contributing factor to kidney failure is a poor and unbalanced diet. Switch from kibble and canned foods to fresh foods. Prebiotics and probiotics can also help support kidney health and cleanse your dog’s bodies of toxins. Kidney stones occur when a dog has too much phosphorous and too little calcium in their diet. Restrict your dog’s protein consumption with a low-phosphorous diet that has adequate amounts of calcium. Natural meat can still be fed to them on occasion, but ideally, they should be glandular products, such as desiccated kidney, to support your dog’s kidney health and boost their immune system. You can even include dark, leafy vegetables in your dog’s diet to help remove excess phosphorous from their bodies. Adequate fluids. Dehydration can aggravate kidney problems in dogs as their kidneys will deteriorate faster and they will likely develop increased thirst as their condition progresses. Dry dog foods can lead to dehydration, so make sure your dog gets regular amounts of raw or moist dog food with plenty of water to drink. Proper vitamin intake. As your dog’s kidneys lose their ability to function, their absorption of vitamins will also diminish. Supplement your dog’s diet with vitamins C and E, and B complex vitamins to improve their appetite and keep them healthy for a longer period of time. Oil supplements. You can give your dog nutritional oil supplements that have anti-inflammatory properties. Omega-3 fatty acids can be helpful in reducing inflammation of the kidneys. Be sure to follow the recommended dosage on the product label as ingesting too much supplemental oil can lead to digestive problems and diarrhea. Homeopathic remedies. Some homeopathic remedies can help treat the symptoms of kidney failure. Fresh parsley has diuretic properties and can be used to promote normal urination in dogs. Kali chloricum can be helpful in treating chronic kidney disorders. You can use arsenic album to alleviate vomiting and gastrointestinal issues associated with kidney failure and kidney disease. It can also be beneficial for dogs with chilliness and thirst issues. Silicea can be used to help strengthen kidney tissue and slow down the degeneration of the kidneys. Sulphur can a good remedy to keep your dog from being sluggish, unkempt, and frequently thirsty. It can also help improve your dog’s poor appetite. If you want to learn more about how to keep your pets healthy, you can read more articles by going to PetHealthDaily.com.